Since starting this series I have already been guided towards some films that I have gained true appreciation for. Films that I otherwise may have taken a very long time to see. Before viewing Colonel Blimp for the first time for this series. I must admit that I did not feel as enthusiastic as you may think. I expected a very traditional and dated war film, one that may have offered a great story of war and struggle, but not much in the way of anything else. However, I quickly remembered that this film in position joint 93rd for the best films of all time, was made by two of the greatest talents to ever work in the British film industry. Michael Powell and Emeric Pressburger were both fascinating writers and directors. They had always developed interesting and memorable characters in their films and they had always managed to keep appeal to the mainstream while still pushing forward the boundaries of cinema. 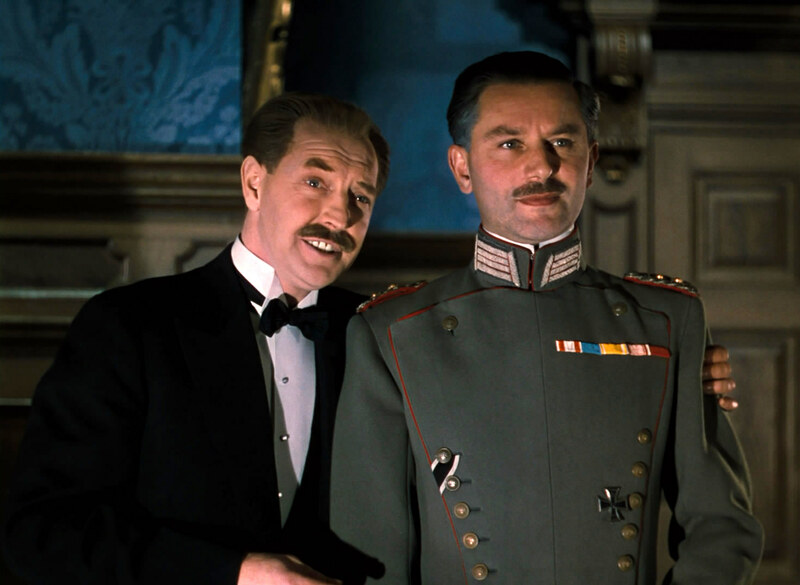 Up to the making of Colonel Blimp the pair had always had a large amount of creative freedom. However, with this film we really start to see the pair emerging as true Auteur artists. Their collaboration became one of cinema’s truly great double-acts. 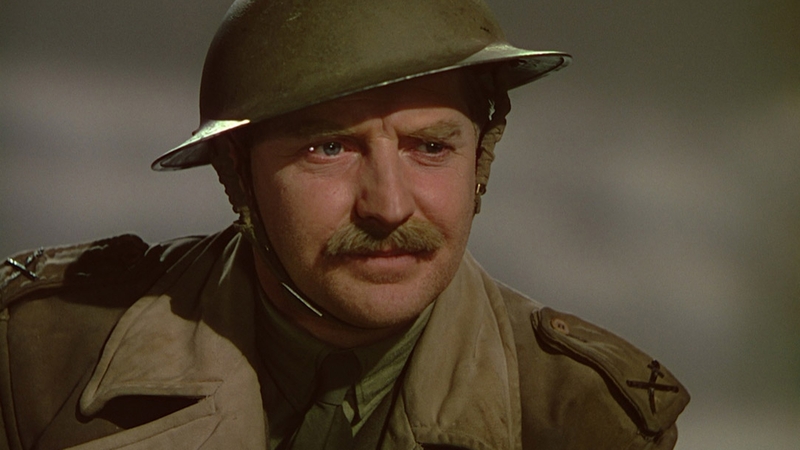 The Life and Death of Colonel Blimp follows the army life of Clive Candy played by Roger Livesey in perhaps his role of a lifetime. We follow Candy as he starts as a young and charismatic officer during the Boer War, continuing later to fight in World War 1 and retire before World War 2, he then moves on as a somewhat cranky old man to work for the home guards. The best and most touching thing about the entire story is that before we see any of this life journey, we first see Candy as an old man, who seems to be too old-fashioned and traditional for his own good. 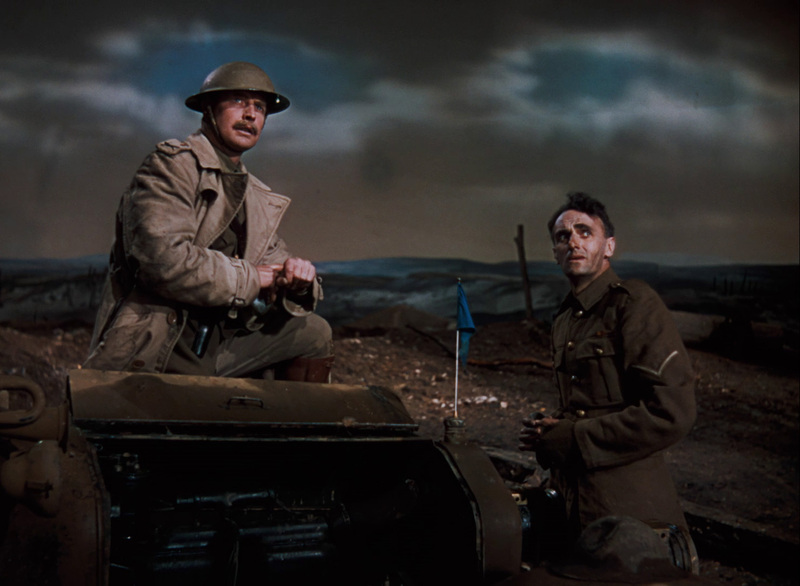 At the beginning of the film Candy and his fellow home guards become prisoners to a group of British soldiers, of whom wish to break the rules of the war. Set in his traditional values this angers Candy and he proceeds to shout at and fight a young army officer in a Turkish bath. At this point we do not know Candy, we have not yet traveled with him through the high and low. We do not yet know how extraordinary this man’s life has been. We see him as old, out of touch and grumpy in his ways. Everyone was young at one point. Everyone has amazing stories to tell, none more than Clive Candy. If you take anything from this film, takeaway the feelings you have while watching this scene and compare them to the feelings you get when this scene is repeated at the end of the film. After we spend two hours, exploring the life of Clive Candy. Theo later becomes close to Clive’s love interest in Berlin, Edith Hunter (one of three roles played by Deborah Kerr) and they soon fall in love without the knowledge of Clive. He and Theo continue to meet throughout the film. Again, while Theo is captured as a British POW and lastly at the end of the film while Theo flees to England to escape the Nazis. The characters and relationship of Theo and Clive is somewhat similar to Powell and Pressburger themselves. They need each other to grow and move forward, but also to keep on a steady track. They are British and German. However, despite stereotype differences, work together and develop a deep connection. The film covers much of the struggles in World War 2 and came out at an extremely controversial time in Briton. The film humanises the German army and its officers to an extent rarely ever seen during the war. This is of course a good thing and the film does a grand job at drawing a line between a German and a Nazi. This, however, did not satisfy the British government and Prime Minister at the time Winston Churchill, who was famously against the making of Colonel Blimp, it was a miracle that the film was ever made. The film was not released in the USA until 1945. The original full version of the film is 163 minutes, but it was reduced to a 150-minute version because of censers. One of the crucial changes made to the shortened versions was the removal of the film’s flashback structure, a key element in understanding the true meaning of the plot. All of this was extremely unfortunate, it took the world such a long time to see how much of a great film Colonel Blimp is. The films photography is from Georges Perinal, who does a great job in creating the style and mood of the picture, but also in creating some inventive set-pieces throughout the film. On camera was Jack Cardiff, someone who would later become a key part of the Powell and Pressburger team and one of the most influential cinematographers to ever work in cinema. 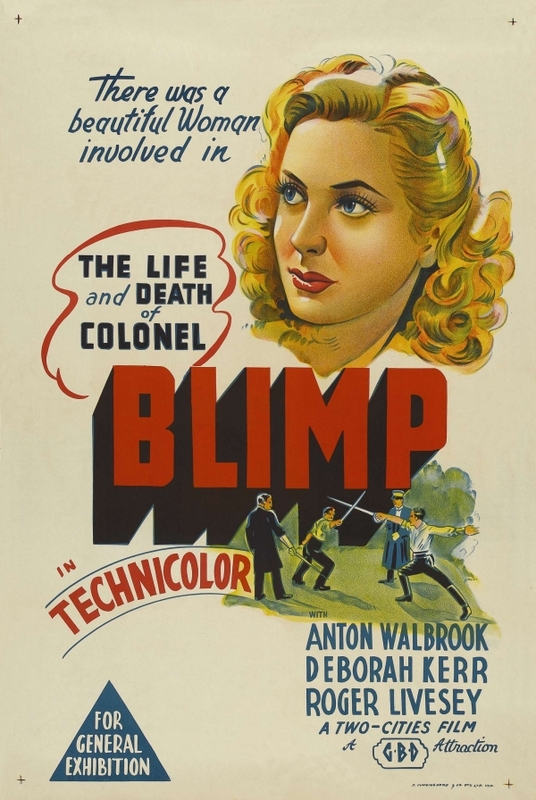 The Life and Death of Colonel Blimp has everything you could ask for in a film. It is over two hours long, but the time flies by without notice. The film is a deep character study and an ensemble cast effort all in one. Working on the film was some of the best talents in cinema at the time, with a creative control that some artists could only dream of, despite this it never becomes self-indulgent in any way. 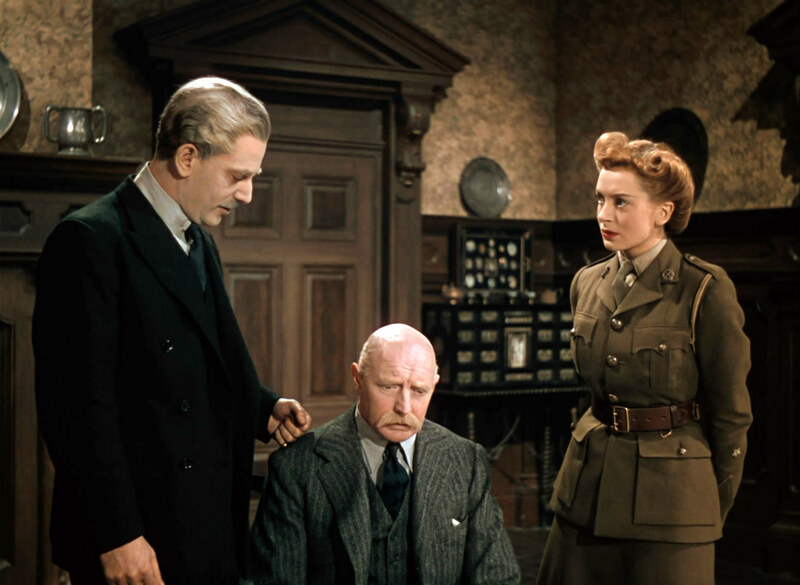 Colonel Blimp is a testament to British cinema in the 1940s and will live on as a great landmark. How much did I love The Life and Death of Colonel Blimp? Well, as Theo would say, very much! Previous Post Previous post:Your Favourite Female Director? I watched this again on TV, just a couple of weeks ago Darrell. I have seen it many times, and it rewards repeated viewings. It is Livesey’s performance of a lifetime, as you say, and a wonderful piece of historical film-making. Thanks for including this film on your site. That is the reason why I like WOF so much, as it breaks with the accepted review structure seen elsewhere. A glorious film for all the reasons you state. It has long been in my top 5. I was introduced to it by my father, who’s top favourite film it was (partly, I think, because he was in love with Deborah Kerr!) The acting is sublime from all concerned and the film bears repeated viewing. I’m so glad you enjoyed it, Darrell. Thank you for your perspective. Thanks for the review. I loved Black Narcissus, another Powell and Pressburger film starring Deborah Kerr, but I’ve been reluctant to see this for many of the same reasons you mentioned at the beginning of the article. I’ll definitely give it a shot. The history of this film is fascinating too.